Agents from China visit Sudbury Catholic Schools! 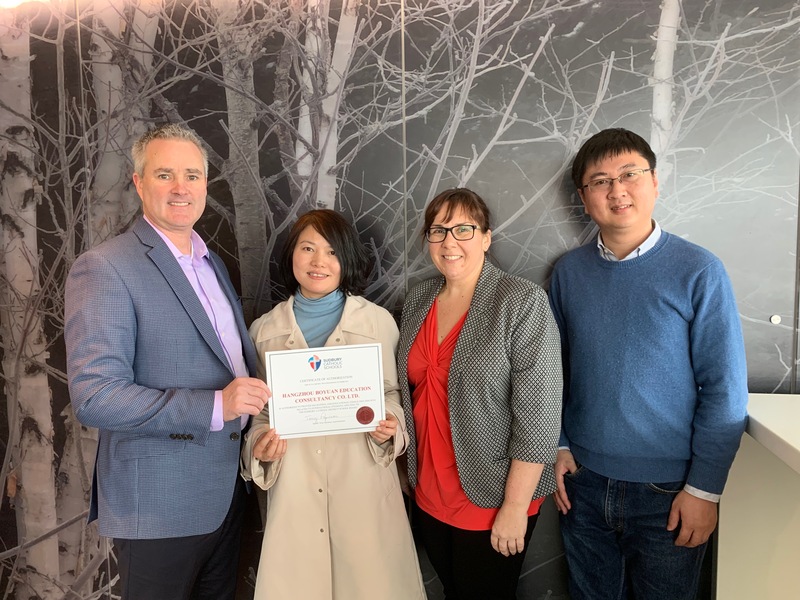 We were thrilled to have agent Najia and Kevin visit us from Hangzhou, China.While here, the agents learned about our unique programming, visited Sudbury’s most popular tourist attractions and completed school visits at our secondary schools, Holy Cross School and St. Anne School. On behalf of the school board, we happily presented them with their agent certificate. We hope to see you both again!